When there are only 2,000 people living in a town, it doesn’t take long to become part of the community. That could be the feeling you have if you choose to love in Pembroke, Georgia. It will be as though you have landed where you always belonged. This tiny town, near the scenic Canoochee River just 31 miles west of Savannah, seems to be at a crossroads between urban and rural, man-made sprawl and natural splendor. Growth in the timber industry and the railroad came together in 1889 and paved the way for the founding of Pembroke. Eventually, this little town would become the seat of Bryan County. Besides its century-plus significance in rural Georgia, Pembroke is also just 20 miles from Fort Stewart, a military installation since the Second World War, located in Hinesville, GA.
During the week, residents might commute to work in Savannah, but they can spend their weekends exploring cities such as Hinesville, Jesup, and Brunswick — all situated along the east coast and within a short drive of Pembroke. Together, they offer a glimpse into Civil War History, boast architecture dating back 100 – 200 years, and reflect a love of the railway as it united Georgia with the rest of the country. That could include their local recreation center with its skating park and swimming pool. Jogging and walking trails have been established here also, but if residents wish for a more scenic walking/running route, just about every town along this stretch of Georgia offers miles of trails. Canoeing along the Canoochee River is also a pleasurable and popular pastime. Canoeists often spot various colorful birds and sunbathing alligators. If you plan to buy a house in Pembroke, look no further than our RE/MAX All American office. We love to help individuals, couples, and families find the homes they are dreaming of whether in Pembroke or in one of the many other hospitable and beautiful towns or cities in the region. 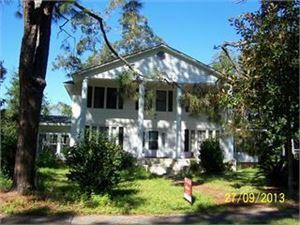 Call ahead or just stop by and we will be glad to help you become familiar with real estate for sale in Pembroke, GA.
See all Real estate in the city of Pembroke..